USB—or Universal Serial Bus—is a protocol for connecting peripherals to a computer. It features a standarized port designed to accommodate many different types of hardware devices. Most modern devices such as digital cameras, printers, scanners, flash drives, cell phones, iPods and other MP3 players use some variation of the USB port in their design. The first USB technology began development in 1994, co-invented by Ajay Bhatt of Intel and the USB-IF (USB Implementers Forum, Inc). The organization is comprised of industry leaders like Intel, Microsoft, Compaq, LSI, Apple and Hewlett-Packard. It supports and adopts comprehensive specifications for all aspects of USB technology. 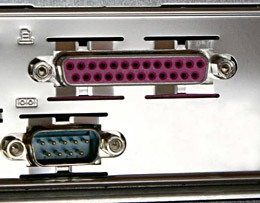 Before USB came into existence, computers used serial and parallel ports to plug devices into computers and transfer data. Individual ports were used for peripherals such as keyboards, mice, joysticks and printers. Expansion cards and custom drivers were often required to connect the devices. Parallel ports transferred data at approximately 100 kilobytes per second, where as serial ports ranged from 115 to more than 450 kilobits per second. Some ports could not run simultaneously. The high volume of incompatibilities and the attempt to use multiple interfaces helped signal the demand for a technology like USB, which could take half a dozen port types and streamline it down to one. Immediate interaction between devices and a host computer without the need to disconnect or restart the computer also enables USB technology to render more efficient operation. Consequently, a single USB port can handle up to 127 devices while offering a collective compatibility. 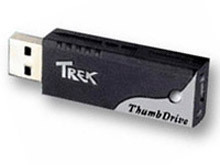 The USB 1.0 debuted in late 1995 and transferred data at a rate of 12 megabits per second. A revised version of this standard, USB 1.1, not only transferred data at a full speed rate of 12 megabits per second, but could also operate at a lower speed of 1.5 megabits per second for lower bandwidth devices. Due to its more efficient operation, USB 1.1 was used more by consumers than its predecessor. 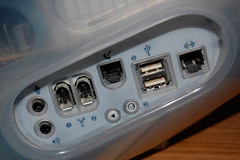 In 1998, the iMac G3 was the first consumer computer to discontinue legacy ports (serial and parallel) in favor of USB. This implementation helped to pave the way for a market of solely USB peripherals rather than those using other ports for devices. The combination of the ease of use, self-powering capabilities and technical specifications offered by USB technology and devices helped it to triumph over other port options. With a transfer rate forty times faster at 480 megabits per second, USB 2.0 debuted in 2000 and became an official standard the following year. In addition to this high-speed transfer rate, USB 2.0 was capable of operating at two slower speeds: 12 megabits per second (USB 1.1 full speed) and 1.5 megabits per second (low speed for devices like mice requiring less bandwidth). A USB 2.0 port will function with USB 1.1 devices, although a USB 1.1 port may not have the bandwidth capabilities to properly communicate with a 2.0 device. USB 2.0 offers plug and play capabilities for various multimedia and storage devices. This newer version offered additional user features that did not exist in its previous version. USB 2.0 added support for power sources with USB connectors, a new descriptor for multiple interfaces, as well as the capability for two devices to interact without the need for a different USB host (also referred to as USB On-The-Go) . The year 2000 also introduced the USB flash drive—a rewritable plug-and-play storage device first sold by IBM and Trek Technology. It could initially hold up to 8 megabytes of data. More than a decade later, storage capacities have surpassed 256 gigabytes for a single drive. USB flash drives have been branded with such synonyms as thumb drive, pen drive, jump drive and memory stick. They will endure close to a million data rewrites. Older models had full speed connectivity at 12 megabits per second. While current versions use USB 2.0, their NAND flash technology causes them to operate at less than the high speed of 480 megabits per second, but still 20 times faster than older full speed models. The latest version—USB 3.0 with an approximate “super speed” data transfer rate up to 4.8 gigabits per second—provides backward compatibility with USB 2.0 devices and ports. A USB 3.0 cable or device may be plugged into a USB 2.0 port, but the super speed rate will only work with USB 3.0 cables, devices and ports. USB 3.0 technology will be able to upload and download simultaneously from separate wire lanes of traffic (two wires to transmit, two wires to receive data). This will enhance the speed of reading and writing data. Devices will charge at a faster pace while using energy more resourcefully. USB 3.0 will allow devices like high resolution cameras or audio and external drives that are optimized at higher bandwidths to operate more effectively. Some USB 3.0 consumer products were made available in 2010, however, full implementation of the super speed version is still in the works. Mainstream use may not occur until 2011. Motherboards and peripherals are testing for further universal compatibility. The delay of USB 3.0 may also be due to Intel’s CMOS manufacturing. USB 3.0 Windows drivers are also still in development. Therefore, wide consumer adoption may not occur until it’s well integrated into the major operating systems. Wireless USB evolved from the Universal Series Bus concept in 2007 and 2008. It is a high bandwidth radio technology that transmits data from devices like printers, cameras, flash drives as well as streaming video at a fast connection without the use of cables. Wireless USB operates best within a short range. It can transfer data at approximately 110 megabits per second at 30 feet and 480 megabits per second at 10 feet. Wireless USB works to expand a user’s options for mobile computing while still maintaining the connectivity of the standard 127 devices.